It has been 50 years since Major General Alexei Leonov became the first human to step out into the blackness of space. Leonov, a 30 year old pilot in the Soviet Cosmonaut Corps, successfully completed a 12 minute space walk and became legend. As the world commemorates this accomplishment, we present the thrilling story of Leonov’s brush with disaster. On March 18, 1965, Alexei Leonov pushed himself out of Voskhod-2’s airlock into the darkness of space. A 5m tether that connected his Soviet-designed Berkut spacesuit to the spacecraft, was his only lifeline. He later recounted his first impressions to the Fédération Aéronautique Internationale (FAI), “Stars were to my left, right, above and below me. The light of the Sun was very intense, and I felt its warmth on the part of my face that was not protected by a filter. The sky was black and the silence was extraordinary.” As he floated weightless, he admired the planet from hundreds of kilometers above its surface. In a recent interview, he reported he could still recall that majestic view with astonishing clarity. Pictures and videos, later supplied by the Soviet state, showed the cosmonaut calmly floating above a serene, beautiful Earth. Upon his return, Leonov wrote an official report to the FAI to claim the record of the first space walk. He indicated that he felt fine throughout the mission and that all systems functioned without a hitch. Contrary to the perceived difficulties of a space walk before the flight, it seemed to have gone perfectly. The USSR had not just beaten the Americans, but had done so flawlessly. In 1962, soon after Yuri Gagarin became the first man in space, plans were afoot to conduct a space walk. Sergei Korolev, the Soviet space program’s Chief Designer, personally chose Alexei Leonov for this task. Besides his vast piloting experience, Leonov was also a painter, something Korolev considered an asset for this mission. Pavel Belyayev was selected to be the mission commander, who would remain inside the spacecraft while Leonov was outside. Dmitri Zaikin and Yevgeni Khrunov were chosen as the backup crew. Although some people wanted Belyayev to be replaced by Khrunov on account of his old leg injury, Leonov’s support for Belyayev played a part in the selection of the final crew. For a year and a half, the crew underwent rigorous training. To simulate weightlessness, they practiced on a modified aircraft that flew on a parabolic trajectory. Leonov personally went through a grueling fitness regime of 117 parachute jumps, 150 EVA training sessions, diving, cycling 1000km in less than a year. Unfortunately, by the time the crew was ready, the spacecraft was not. A Voskhod spacecraft with extensive modifications would be used for this mission. The Voskhod was meant to serve as the bridge between the single-man Vostok that carried the first humans to space and the next generation Soyuz. It was essentially a Vostok stripped down to accommodate multiple crewmembers. All non-essential systems, even the ejection seats, were removed to make space for the additional cosmonauts. Although riskier than the Vostok, the Soviet Union had already put a three-member team in orbit on the first Voskhod. For the space walk, further modifications were required on the Voskhod. Prime among them was the addition of an external airlock. All of the Voskhod systems were designed to operate in a pressurized environment, and would not function in the vacuum of space, so the cosmonauts could not depressurize the whole cabin. Instead, a collapsible airlock, dubbed the Volga, would be used. The airlock consisted of an inflatable cylinder attached to a metal ring that would fit externally over the Voskhod hatch. It would be launched in a collapsed state and later inflated in orbit using oxygen tanks. The fully deployed airlock measured 2.5 meters in length and was equipped with two lamps, three 16mm cameras and a backup control panel. 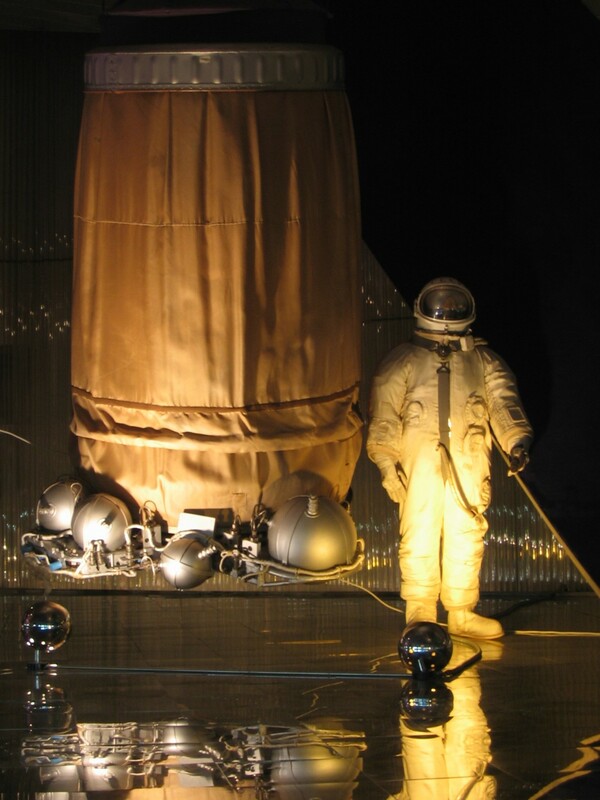 The narrow confines of the Voskhod also required the cosmonauts to don their space suits before launch. 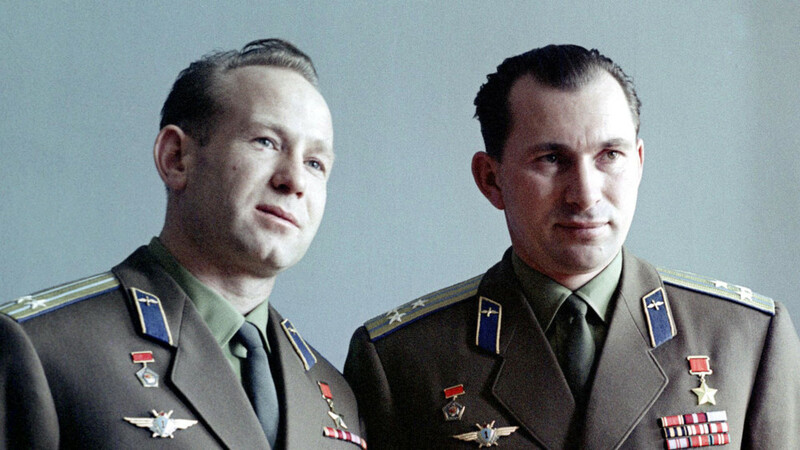 Contrary to the three-man Voskhod-1 mission, when suits were not worn, the capsule had room enough for only two cosmonauts with their space suits. The Russians deemed it worth the risk to use this remodeled version rather than spend nine additional months to revamp the Voskhod entirely. And they came very close to regretting that decision. Back then, and even today, there was no vacuum chamber on Earth that could come close to simulating the conditions of space. A complete test and verification of the airlock system had to be done in space. Cosmos 157, an unmanned Voskhod equipped with the new airlock, was launched on February 22, 1965. Controllers on the ground remotely deployed the airlock, and successfully opened and closed the outer hatch. But before all systems could be checked out, a command to deflate the airlock was sent by both the primary and backup ground stations. The spacecraft, which couldn’t handle simultaneous commands, wrongly interpreted it and instead initiated deorbit procedures. An improper reentry maneuver and the still-attached airlock caused the vehicle to tumble and lose control in orbit. The spacecraft controllers were forced to employ the onboard self-destruct to prevent casualties on the ground. Since testing had not been completed by Cosmos 157, another mission would be required. But the Russians found themselves in a dilemma. There was only one other flight ready Voskhod and it could be used either for testing or for the actual mission. Going on with another full test would have required postponing Lenonov’s mission, leaving to the Americans the chance to get there first. Being in a space race, the Soviets decided to move on with the mission, but one more test flight was required. Cosmos 59, launched on March 07, 1965, was a reconnaissance satellite designed to test one specific aspect – the effect the metal ring, attaching the airlock to the Voskhod, had on reentry. Although the airlock would be discarded in orbit before reentry, the metal ring would stay intact. Since the ring protruded a few millimeters above the surface of the capsule, it was imperative to test if it caused any rotational effects during reentry or hamper deployment of the drogue chute. Cosmos 59 fared better than its predecessor and demonstrated that the rotations generated were well within the tolerance levels. Although not ideal, preparations were now complete. The next step was to launch the spacecraft. But Korolev left the final decision in the hands of Leonov and Belyayev. Aware of the forthcoming EVA attempt by the Americans, they naturally chose to go ahead with the mission. The launch of Voskhod-2 was marked by a flawless ascent. Following a quick systems check, preparations for the space walk begun. The airlock was deployed, as Leonov strapped on his life support gear. 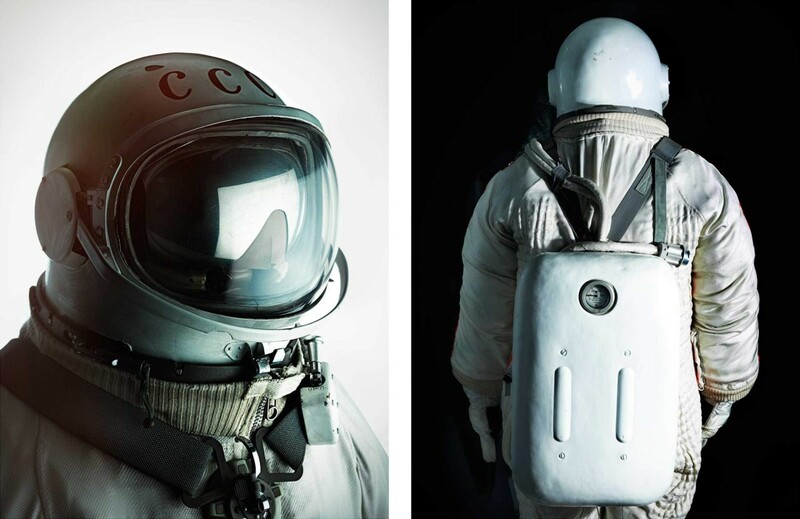 The spacesuit employed a pure-oxygen atmosphere, different from the nitrogen-oxygen mix of the Voskhod, so to prevent decompression sickness, he followed a pre-breathing protocol of pure oxygen inside the airlock. Commander Belyayev then depressurized the airlock. Leonov climbed out purposefully, pausing for a moment at the rim of the airlock before kicking off, then floated out into space. It was only the 14th piloted spaceflight in history. First thing, he mounted a video camera on the edge of the airlock to record his movements. He also had a handheld camera that he used to film “the Earth, perfectly round, the Caucasus, Crimea, the Volga”. Tethered to the spacecraft by a 5-meter cord, he floated freely in space, enjoying the incredible view and the extraordinary silence. But trouble emerged quickly. After a few minutes, Leonov felt the shape and volume of his spacesuit change. His suit had ballooned. He could no longer touch the tips of his gloves with his fingers or the end of his boots with his feet. He found it difficult to grasp the umbilical cord or open the camera shutter. As they were approaching the night side of the planet, it was time to get back inside. He knew he had to find a solution very rapidly as it would be impossible to work with those gloves in the darkness of the night side. So, he did the unthinkable. In order to close the outer airlock hatch, one had to get inside feet first but his enlarged spacesuit ruled it out. So, without informing ground control, he lowered the pressure in his suit by letting out oxygen. He calculated the time remaining in daylight and the oxygen supply left and dropped the pressure accordingly. He was putting himself at risk of decompression sickness but he had no other choice in the time left. He immediately found the suit to be less rigid. When he reached the airlock, he pushed the camera in and forced himself in headfirst, contrary to procedure. He then performed one of the most difficult maneuvers conceivable in a similar situation: doubling himself up inside the airlock and turning back to close the outer hatch. This took so much effort that his core body temperature rose by 1.8°C, almost causing heatstroke. Inside the suit, Leonov was sloshing around in sweat up to his knees. He finally closed the outer hatch, re-pressurized the airlock and got back into the capsule. Unfortunately, the mission’s troubles were not yet over. With both cosmonauts inside, the airlock was jettisoned by firing explosive bolts. This action caused the spacecraft to spin at a rate that was ten times stronger than expected. Since they had fuel sufficient for only one more attitude correction, the cosmonauts had to tolerate it for the remainder of the mission – a long 22hours! In addition, as Leonov was running through a routine systems check, he found that the oxygen levels in the cabin were rising steadily. It became so high that it was considered a danger to the mission. The cosmonauts lowered the temperature and humidity to reduce the risk and the oxygen slowly dropped down to non-critical levels. When the time came for reentry, they were in for one more surprise. Ground control initiated the automatic landing system, which stopped the spacecraft spin for a while, before a system malfunction caused it to start rolling again. So, Belyayev switched off the auto landing system and prepared for a manual reentry, the first ever in Soviet history. The retrofire engines fired correctly but the instrument module refused to separate. It dragged along until the heat of reentry burned through the cable connections. The use of manual retrofire also delayed the mission plan by 46 seconds. Combined with the incorrect orientation, it pushed their landing spot 2000km away from their intended destination. The descent capsule landed deep in the taiga forest of the Ural Mountains. Rescue helicopters spotted the vehicle but were unable to land in the densely wooded area. Neither could the cosmonauts be airlifted with their bulky suits strapped on. The helicopters airdropped supplies so that the cosmonauts could spend the night inside the Voskhod. There are even unverified accounts of the cosmonauts being distressed by wolves. The day after, a rescue team landed a few kilometers away and skied to the landing location. They built a little hut where they all spent the second night. The next morning, two days after the landing, trees were cleared, so a helicopter could finally land and ferry the cosmonauts to Baikanour. One of the greatest adventures of our time could have very well been one of the biggest disasters if not for the ingenuity, skill and composure of Alexei Leonov and Pavel Belyayev.